Charles Scammon : Rescue at Scammon's Lagoon, 1857. G.P. Putman'ss Sons, New York, 1874. Although a very brief description, the account illustrates the surf-skills of native Hawaiians (Kanakas) during a crisis. While they were assisted by "selecting pieces of plank, to be used as 'surf -boards' ", it is likely these were not in fact actual surfboards but crude substitutes. 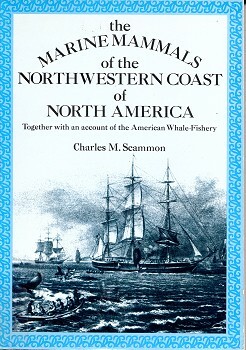 Scammon's expedition arrived at Lagoon or Safety Head (adjacent to what is now generally known as Scammon's Lagoon) in late 1857, and during the collection of timber from a beached wreck, the four longboats were lost to sea. A failed attempt to retrieve the boats saw the loss of the ship's carpenter, however three of the boats returned on the incoming tide and were secured by the crew allowing the whaling to continue. By far the most noted resort for supplies in the northern hemisphere was Honolulu, Sandwich Islands; yet Hilo and Maui, of the same group, were frequently resorted to. Here, the genial climate and fruitful soil, which yielded abundantly the needful "recruits," and the open, easy life of the natives, caused it to become a favorite place for the whalers to congregate. It was too early to commence whaling; and being short of wood to last through the season, the time and opportunity were improved to obtain a supply from the wreck of a ship which lay strewn about the contiguous ocean shore. To reach the wooding place, it was necessary to land inside the passage and go some distance along the beach, as no boat could approach from the outer coast. All the boats engaged in transporting it were moored near the shore in the lagoon, and left in charge of a boat-keeper, it being impracticable to haul them up at high tide on account of the broad, flat beach exposed at low water. All the wooding party being out of sight when at the wreck, the boat-keeper concluded to refresh himself by a bath, and conceived the idea of converting one of the boats into a bath-tub, by pulling out the plug in the bottom. The boat soon became water-logged, and the fellow, carelessly enjoying his ablutions, got too far to one side of the craft, which instantly capsized, turning him into the lagoon. The current running swiftly, dragged the anchor, and the man, in his fright, swam to the shore, abandoning his boat, to which three others were fast, and all four went drifting out of the passage. The alarm was given to the party on shore, and it was a disheartening sight to behold the four boats drifting through the breakers, for everyone knew that without them our voyage would be fruitless. There were several Kanakas among the crew, who immediately saw the necessity of saving the boats; and selecting pieces of plank, to be used as "surf-boards," put off through the rollers to rescue them. ... which had been dragging all the while, brought up, and the current swept both the carpenter and Kanakas out of reach. They then made for the shore, which all of them regained in an exhausted condition, except the carpenter, who was never seen again. The officers present, with a portion of the crew, were so much discouraged that they gave up all hopes of regaining the boats, and openly avowed that our anticipated successful voyage must be abandoned. Geoff Cater (2007) : Charles Scammon : Rescue at Scammon's Lagoon, 1857.